This is a VERY RARE 8.8cm KwK 43 shell case in fantastic condition from German King Tiger tank.This shell case is near complete it is rusty but solid it is relic but overall in fantastic condition for a steel made shell case it does have some rust holes on it but also has some blast damage on it as well a dent down one side and shrapnel holes as well clear to see.The case has no markings on the bottom but also has a shrapnel hit on the primer the case has been cleaned and has come up nice .The case is so rare to find from the battle field it would be perfect for display or any collection from the famous King Tiger tank. The case was recovered from Normandy so would have been used by a Tank of the 503rd Heavy Tank Battalion as they were the only ones in Normandy with King Tiger tanks the case would had been used during the fighting on the Normandy battlefield in the summer of 1944.The case comes with a A5 laminated information card with photo. The Tiger II was issued to heavy tank battalions of the Army and the Waffen-SS. 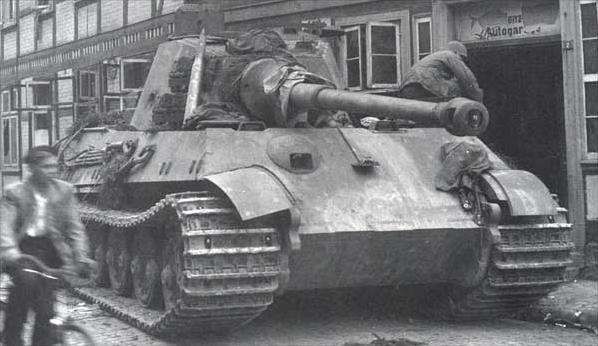 It was first used in combat with 503rd Heavy Panzer Battalion during the Allied Invasion of Normandy on the 11th July 1944 the 3rd company received the new Tiger II tanks, which were subsequently destroyed in the Allied aerial attacks, with only two brought back to Germany.